These scholarships provide training in priority areas identified by the Australian and PNG Governments, delivered through selected partner institutions in Papua New Guinea. 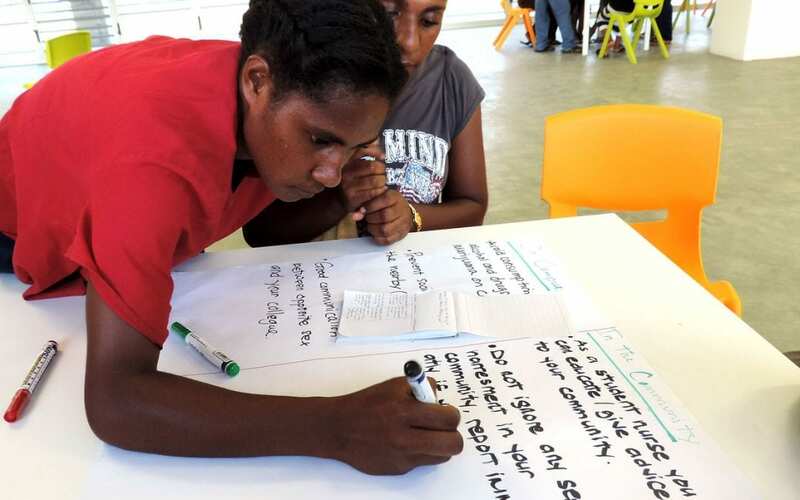 “We want to improve how we prepare awardees for study so they may face their challenges better-equipped,” said In-PNG Scholarships manager, Simon Kaldy. “Many of our awardees are mature-age students who have not studied for a while, and so we should acknowledge their specific needs. But for our younger awardees, being far away from family for the first time can also be challenging. He said the new program is more extensive and better targeted towards the potential barriers to study success. It focuses on fundamental skills in goal setting, planning, academic preparation and teamwork. It also contains a component dedicated to the prevention of family and sexual violence. One awardee who has just begun his course at Enga College of Nursing wrote: “It was a wonderful orientation held here at Enga, with very educational and clear information about scholarships and the challenges of tertiary study which will be useful to me in my future life here.